I read this book with rapt fascination, hanging on every word, and with raging indignation that in this day and age, women are not treated with respect and the equality of men. Author Nadia Hashimi has painted a very vivid picture of life for women in Afghanistan. She has made real to me what news reels could not convey. It will take courageous women and men, like those depicted in this book, to improve daily life in that country. 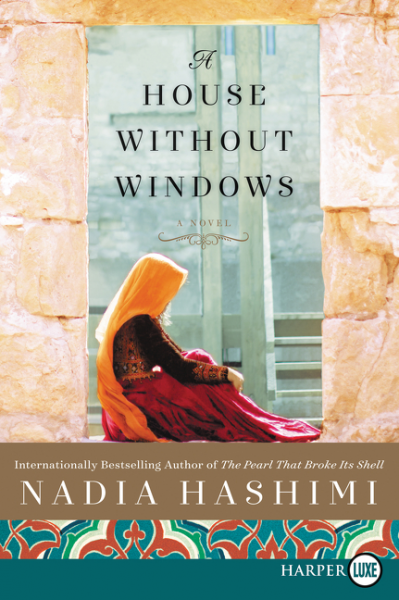 A House without Windows seemed to start out as a fairly straight forward story of a woman killing her husband, but with each twist and revelation, we learned that all was not as it seemed. Did Zeba really kill her husband and why. Would anyone speak in her defence, or would they hide behind their walls ignoring the need for justice. As this story progressed, it pulled me closer into Zeba and her cellmates lives. 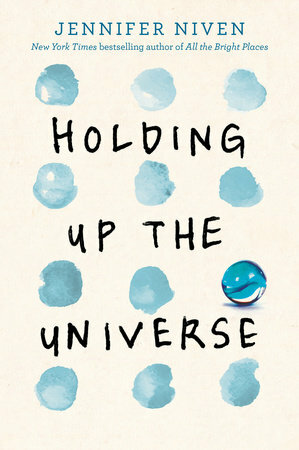 I didn't want to put the book down as the need to find out what would happen with them grew greater with every chapter. At times, her fate seemed pretty grim and pre-determined, though there always one more ray of hope that kept the story from becoming depressing. Zeba's love for her children, her budding friendship first with her cellmates and then with the other women of the prison gave me that sense that all was not bleak. As the story continued, there were other characters who showed promise for positive change. All of which made for an endearing read. This story of mothers, sisterhood, truths and appropriate justice left me feeling empowered and most of all, it left me feeling hopeful. This is a fun and lively book that should have big appeal to young readers who enjoy any sort of game playing. 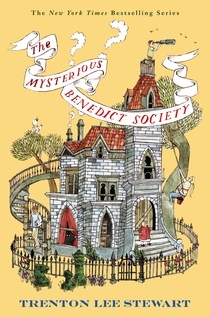 A new library is opening in town, and the benefactor, Mr. Luigi Lemoncello is sponsoring a contest for twelve students to attend the gala opening and then stay overnight in the library for an assortment of fun activities. When morning arrives, the children find they are locked in until one of them finds the clues to solve the puzzle of where is the secret exit. I enjoyed listening to this audio book and following the students as they found and sought to understand the varied clues. The story line helped illustrate that libraries play important roles in many peoples lives and that they are not just limited to school research projects. To solve the puzzle, they had to explore the many different facets of the library from the high tech displays to the traditional printed books. I can imagine a high level of appeal to the target audience of 9-12 year old readers. Adults shouldn't get too hung up on the extremes of what is possible or feasible for a library. 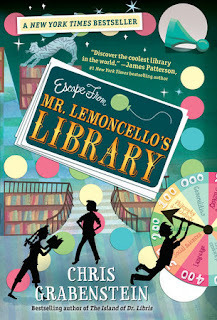 Author Chris Grabenstein continues the tale in Mr. Lemoncello's Library Olympics. I listened to the unabridged audio book as read by Jesse Bernstein. Six hours 19 minutes. This is Cally. She belonged to my son when he was a wee little guy. Sadly, she's been having tummy trouble for several years. Notice how caved in her tummy appears to be. I have intended to give her some loving care, but never seemed to get around to her. Last week I made a new 'todo' list for the week, with just a few items that I actually felt I could accomplish. Cally was number 1. It took some searching, but I did manage to find a seam from her original assembly. Turned out there were only about six stitches to remove. She used to have a flexible tummy which was nice for cuddling, but over the years it turned hard. When I opened her up, I found this rigid thick balloon. I removed it and re-stuffed her. If you look carefully you can see that she now has a nice plump tummy. Successful surgery and Cally is now ready to go live with my young nephew. I am so happy to have marked off the first item on my todo list. Tomorrow, I'll write up a new list for the coming week and then set to stitching. It took me a bit of research to decide what type of list would work for me. I visited with Elaine at the blog Crazy Quilter on a Bike and read her post on The Task Master. I like some of her ideas, but she lost me when she got to the second colour of highlighter. Then watched this video on bullet journals. Interesting, but not quite what I want. Finally, I visited GeekDad and learned about the Midori Travel Journals. They look like terrific books and I love the sticker idea. At present decided to continue with the hardbound book I have, but I will definitely be using sticker to note my successes. Thanks to everyone for your great suggests to help me stay on track this year and to keep my work space usable. My focus for next week will be the blue quilt once I find a method for marking the sashing. The white pencil refills I purchased don't fit the pencil they are supposed to fit. Hmmm, 0.7mm refills that are much too big for a o.7 mm pencil. tomorrow after the ice melts on the road, I'll be back to the quilt shop to rectify this issue. I hope that you are making progress on whichever (needlework) project finds itself at the top of your todo list. As I finished the closing words of this book, a single word escaped my lips, WOW. Wow, in a very good way. When I started this story, I had no expectations of what I would find, but chapter upon chapter, Libby and Jack found their ways into my heart. I was totally rooting for both of them and wanting them to triumph over their individual challenges. After having to be cut out from her house, Libby has been labelled as America's Fattest Teenager. Not something easy to live with during the difficult high school years. Jack finds that he has to employ a lot of bluff and bluster to hide the fact that he can't recognise nor remember faces, even those of his family members. After a prank gone wrong, the two of them must address their aggression toward each other. Both of these teens have to deal with self acceptance of their physical limitations as well as the mental ones they have imposed on themselves. They also have to learn to cope with how others respond to them and we all know that kids can be mean whether it is from spite, ignorance or to make themselves feel better about their own issues. Yes, there is romance in the story, but what YA book would read as realistic without some level of budding relationship. I would recommend this for all teens as an excellent way toward understanding what your family, friends, and classmates might be undergoing. Bullying is far too wide spread and has very serious consequences. It is not acceptable to make fun of someone just because that person doesn't live up to your expectations. Our young adults need to learn not to blindly follow the crowd, but to use their intelligence to guide their actions. From the first pages, I knew there was something wrong with Grace and Jack's apparently perfect marriage. I couldn't put my finger on what was wrong; I could sense that they were both trying far too hard. 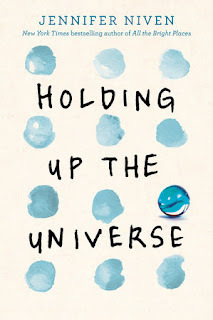 This book grabbed me from the first pages and wouldn't let go. Once I reached the mid-point, I could not put down as I knew I wouldn't be able to sleep without knowing how the story ended. 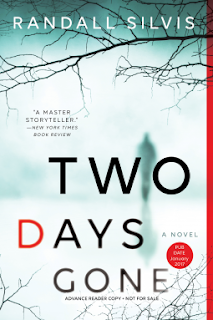 I don't often read psychological thrillers as they are too creepy and this one excelled in this area. Not knowing what Jack would do next was one thing, but trying to imagine how Grace would respond kept me on the edge of my seat. I want to tell you more about this story, but that would be giving away plot secrets. Remember that you can never know what goes on in a marriage without being part of it. 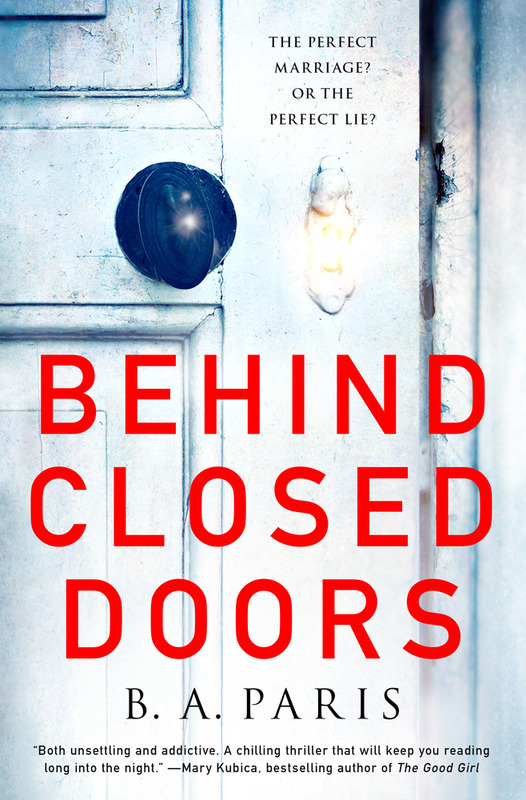 You'll have to read Behind Closed Doors to find out what really is happening. Author B.A. Paris has a new book, The Breakdown expected to be released June 2017. I received a free review copy of Behind Closed Doors for an honest review. There is far too much procrastinating happening at my place and I do believe that it all belongs to me. I've been putting off writing this morning's post as I hardly have any progress to share with you. I did some stitching on the shawl I showed you last week, but not as much as I'd hoped considering I'm not doing any other stitching. According to the pattern I'm at the 1/4 point or so. So what is it that is holding me back. Each time I clear off the dining room table, where I do my sewing, I vow that I won't let it get so over burdened with supplies and unfinished projects. It always does, it's just a matter of time. I want to break that trend and keep it clear, just the project at hand. This time it took me a week to clear off, putting things away in a logical place, but in the end it all just got piled on the bed in the guest room. oops, no guest could even enter the room now let alone sleep on the bed. Yes, there are new supplies for projects not yet begun that had to be stowed away, but the majority were projects in progress. That's where I need to focus this year. I must finish them or at least make an attempt. To facilitate that approach to 2017, I even stacked them in a somewhat doable order. The simplest being a stuffed cat that needs new stuffing. simple right, so how is it that it's been waiting so long for that to be done. arg. It's at the top of the pile. Once I put away the china that is sitting clean on the table, then I can fix that wee cat, no sewing machine required, and send it off to the nephew who adores cats. It will feel terrific to make one completion check mark. Then the sewing machine and stitching on that lovely blue quilt. Step by step, I'll get back in the new groove (remember, I don't want to get back in that old messy unfinished one). I hope that you are having a more productive and enjoyable experience with your stitching in 2017. A mother and her three young children were found brutally murdered in their beds and the husband/father was tentatively identified as the man seen fleeing the scene. Could Thomas Huston, a respected professor and re known author truly have murdered his entire family, Sergeant Ryan DeMarco knows the man and just can't accept that this is possible. He's spent enough time in conversations with Tom to know how out of character this is and to suspect that something more has happened. I liked the character of DeMarco. Even though he is friends with Tom, he doesn't let his feelings overwhelm his investigation, but instead uses them to glean insights into what he might have done after the murders. He is a good, thorough investigator who doesn't let his personal flaws affect his work. I'd like to see his character continue in a future novel by Randall Silvis. As for Tom, I really didn't get a feel for him. He was struggling with shock much of the time he appeared and was having trouble determining reality from events in the book he was researching/writing. 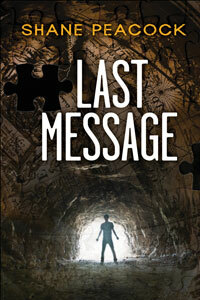 It did provide an interesting look at how an author develops a character and his or her story. He seemed an honest man with a considerate nature. I did understand why DeMarco liked him. I could even imagine the two of them sitting together in the evening on a deck, drinking cold beers and having comfortable conversation. Fortunately Mr. Silvis had much better plot ideas that made for more intriguing reading. I had no idea where this story was going and the twist and turns in the plot made for good reading. 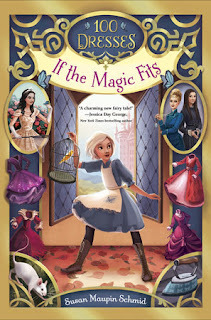 I received and advance copy of this book from Sourcebooks Landmark and Netgalley in exchange for an honest review. At the reading of his grandfather's will, Adam and his six cousins learn that their inheritance is dependent on them each completing some difficult challenges. Adam is to travel to France and complete three tasks. I was not very impressed with Adam when he was first introduced. He is dating a girl who seems to be solid and likable person, yet at the same time he is trying to impress a girl deemed to be a big catch. The challenges that Adam has to complete are not only physical in nature, but also have a mental component. It was interesting to listen in on his thoughts while he struggled to do the right thing with regard to the first challenge. Even though it must have been difficult to learn of one of his grandfather's shortcomings, he did learn so much more about him and about himself and about the type of man he wants to become. I felt that learning his grandfather wasn't perfect gave him the needed permission to make normal kid mistakes and to learn from them. He certainly did a lot of growing up during the trip, which I suspect is what his grandfather intended by having the boys complete these challenges. I'm looking forward to reading more books in this unique series. This book is part of Seven the Series, which is a set of seven books, by seven authors about the seven grandsons. The books don't have to be read in any particular order, though the publisher recommends that the reader start with the books from Seven the Prequel, followed by Seven the Series, and finally by Seven the Sequel. Welcome all to the 2017 version of Needlework Tuesday. Each Tuesday (baring extreme business) I'll share any needlework I've been playing with during the previous week. I hope that you will join in the fun and use Mister linky to share your current needlework post. With a bit of deft time management (omit baking short bread cookies) I managed to sneak in one final finish before Christmas. I had started this castle pillow cover some months ago and it kept getting pushed to the back ground. Since the recipient was eating Christmas dinner with us, I had to have it finished. I used a free pattern from the Fat Quarter Quilt shop and sized it up to fit a standard bed pillow, approx 26 x 20 inches. For the back, I used to front, including the button bands, of a man's dress shirt. It worked perfect and even has a pocket for storing secret messages. I quilted some lines in the draw bridge gate to make it look more like a proper door. The recipient loves green, so why not green stone and brick work. Ivy covered. Finally, I added some stylised clouds in the sky, fair weather ones of course. The dragon was cut from a panel and fused and stitched on. A great suggestion from the recipient's mom. I have left it up to my little friend whether she wants to decorate the pillow with flower and bird buttons, or if she plans to sleep on it. Buttons would not be fun poking into her face. I plan to make this pillow again for two of my nieces. Recently I have shared some cryptic photos of the blue quilt that I was working on. It was delivered to it's intended on Christmas morning even though it still needs quilting in the sashing and outer border and the binding. Other than that, it's done. Yippee. I used a continuous line machine quilting template that worked out quite well. I am going to use similar motifs for the remainder of the quilting. The pattern was a BOM by Marti Michell. Sorry that I don't recall the title. An to round out this post, I have a new start for the new year. My sister gave me a ball of Lion Brand Shawl in a Ball. note: there is a free pattern included on the ball band and there are additional free knit and crochet patterns for this yarn on the Lion Brand website. I decided on a simple feather and fan pattern. It calls for 6.5 mm needles and is quite loose, I would have been happier with a smaller size, but am not going to change now. This is my first time working with this yarn and I am enjoying it. It knits nicely and doesn't seem to tangle, which I was concerned about. It is a bit fuzzy, but not enough to tickle my nose with little bits flying off. I have no idea how long this will take as I am supposed to keep knitting till the piece measures 49 inches and I am currently at 6 inches. It looks dainty but it actually quite sturdy. I have a feeling it's going to be a shawl that I use often. Over the next week or so, I plan to make an actual list of the projects I want to complete in the next few months and of the few that are still ideas floating around in my head. Perhaps this will help me keep more on track than the random method did last year. It certainly is worth a try. in the process, I might even finish some of the projects I found abandoned on my sewing/dining room table when I cleaned it off for Christmas dinner. Any helpful hints on organising my to do list would be most appreciated. Four unusual children find themselves in a challenging situation after responding to a newspaper advertisement stating it was looking for gifted children. After undergoing a series of bizarre tests, the four are invited to present themselves at a certain address at a stated time and date. The opening of this book had my attention from the start. I had no idea where the story would lead, but I was reassured that it would be something unique and it was. Over the course of the story, the children went from total strangers to dearest friends who would risk their lives for each other. In the process, they learned not only a lot about each other, but even more so about themselves. They also learned that adults are complicated and not always what they seem. I mostly enjoyed this book, though at times I felt it was on the long side and that it might loose the attention of less dedicated young readers. I did like that the things the children were asked to do, were all within the realm of what young people are capable of doing. They weren't asked to complete impossible tasks nor the risk their lives at highly dangerous activities. Author Trenton Lee Stewart kept the roles of the four children well within reason, though not always the common or usual activities of today's students. Recommended for readers age 9 - 12, though can be enjoyed by those outside that range.